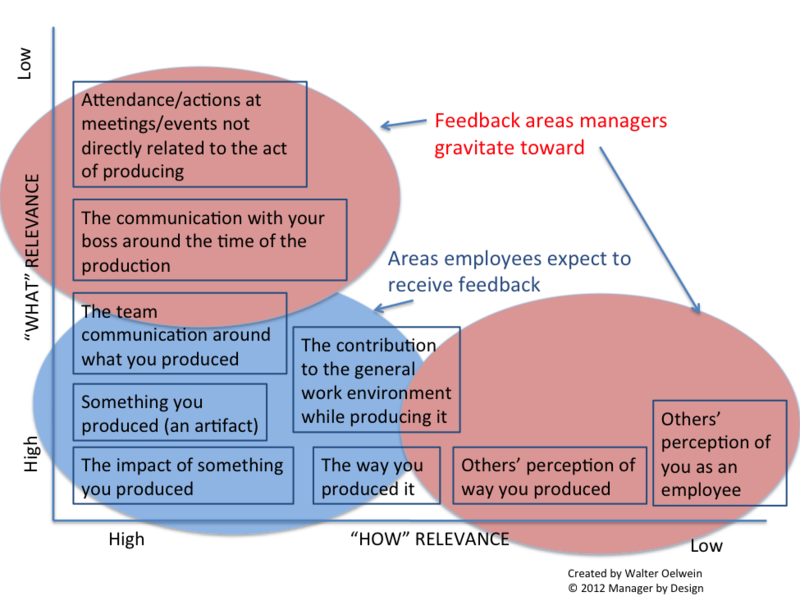 In looking at the upper left corner of this model, many managers create, via the act of giving performance feedback, a second job for the employee: How the employee performs in front of the boss. So now the employee has two jobs: 1. The job and 2. The job of performing in front of your boss.